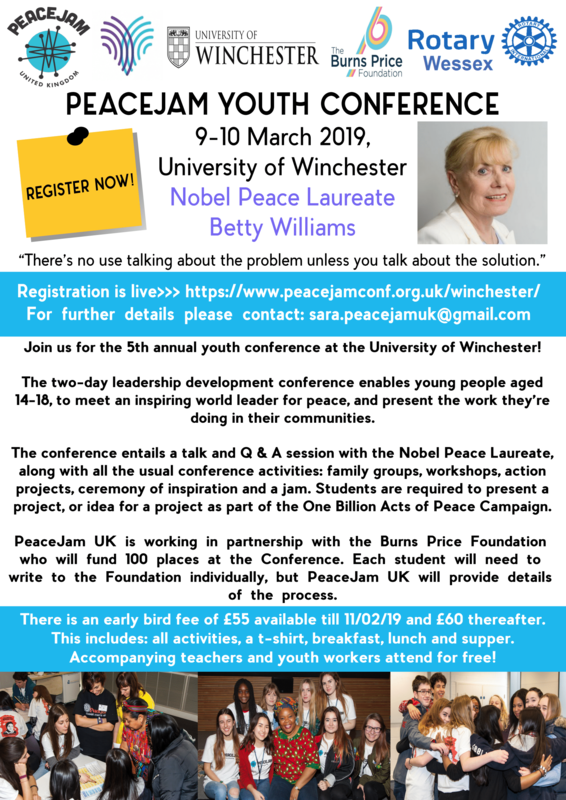 Our most recent youth conference was held at the University of Winchester, 9-10 March with Nobel Peace Laureate Betty Williams. The event was attended by secondary schools, youth groups and University students from across the UK. The date of our next event is yet to be confirmed. Watch this space! This sample programme, from the Leeds 2017 Youth Conference, will give you an idea of what our conferences typically look like. PeaceJam is an international organisation with affiliates in many countries. Young people and their teachers who have participated in the PeaceJam programme can also attend PeaceJam Youth Conferences in other countries. Students from PeaceJam Greece recently came and took part in PeaceJams in Winchester; while students from the Mount School in York travelled to Monaco for PeaceJam conferences there. Here is an up-to-date list of PeaceJam events around the world. Why Go To A PeaceJam Conference?